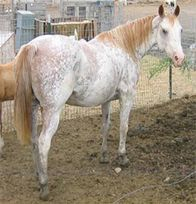 APHA Dun Sabino Overo Docs Gallant Jose SAB 985,820, born June 22, 2009, was tested N/N for Lethal White. 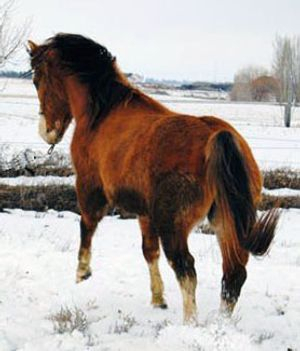 There will only be 7 foals by him in the three years he was used as a breeding stallion before he was sold. 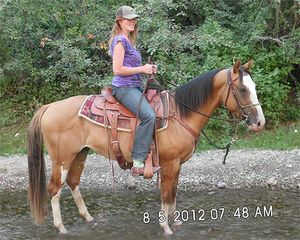 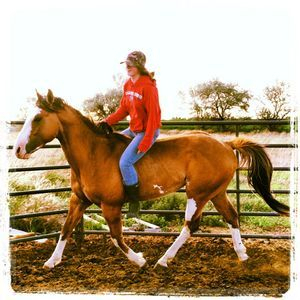 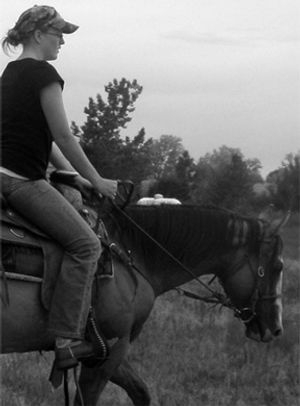 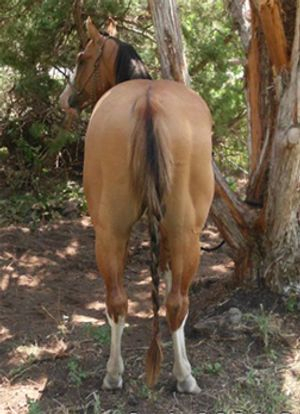 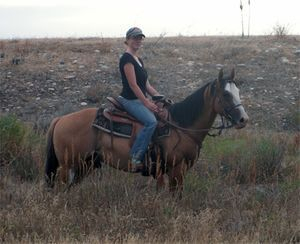 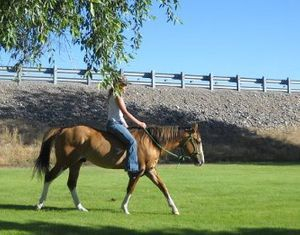 Phillepe has been gelded as of April 2013 and will be put to training as a cow horse. 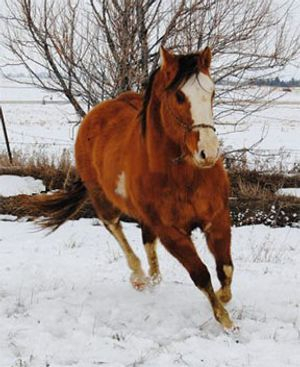 Phillepe is built thick and solid, he is smart, and quick on his feet! 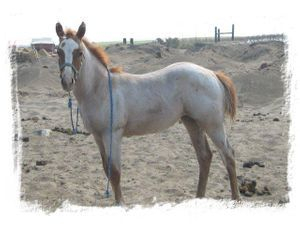 His sire is an 84% foundation bred Quarter Horse standing in Utah and his dam is a gorgeous Sabino Overo paint mare in California. 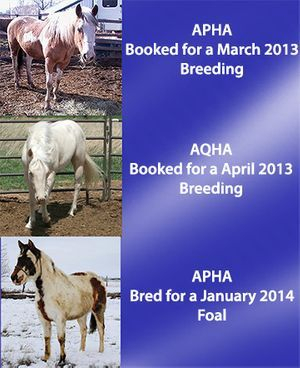 What is in this Boys Pedigree! 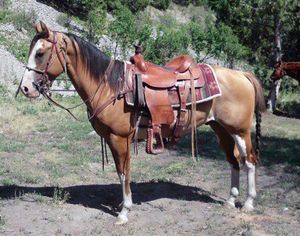 Talk about a pedigree on this Stud! 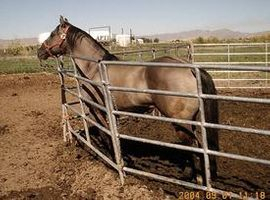 His pedigree has Vics Cool Spade, (Grulla) Full Brother to Isle Cool Chance 2001 IBHA Reserve World Champion in Reining, Doc's Zinmfandel World Champion in Cutting, Son of Doc Bar. 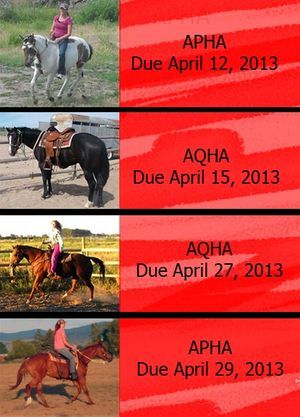 He has 11 AQHA Hall of Fame horses on his sires side of the pedigree going only nine generations back! 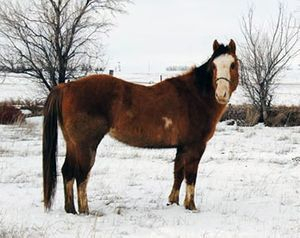 Other greats like King, Peter McCue, Poco Bueno, Three Bars, Old Sorrel, Oklahoma Star, Joe Hancock, Doc Bar, Top Deck, Wimpy, My Texas Dandy, Hickory Bill, Peppy, Jacket Bar, Jose Uno, Leo, Bill Cody, Lee Cody, Tinky Poo. 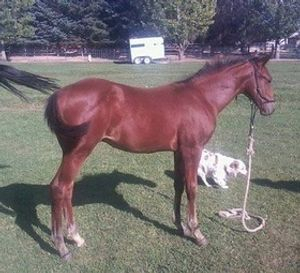 Plaudit, Chief, and Man of War! 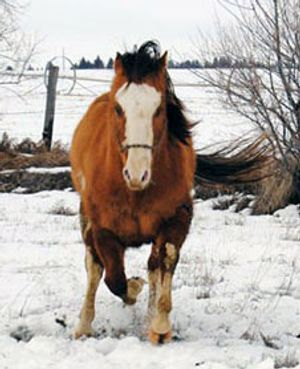 Winter 2013 He is a muddy horse in the pics just having a grand old time. 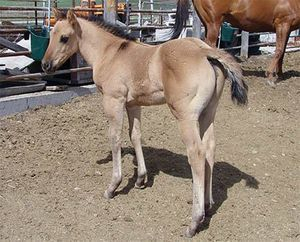 Phillepe's first foal hit the ground on June 19, 2012. 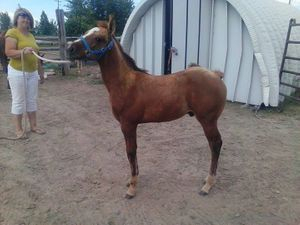 Its a girl! 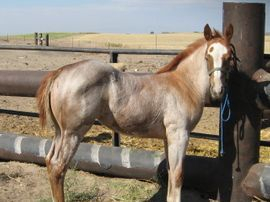 Congrats to Shirley Christenson, on your little roaned filly! 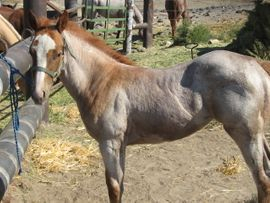 This little girl has Sabino Markings as well!